Classics for All is reviewing Boris Johnson's involvement with the charity after his comments comparing Muslim women wearing Islamic veils to "letter boxes" and "bank robbers". A charity that promotes the teaching of classics in state schools is considering Boris Johnson’s position as patron after his inflammatory comments about Muslim women. Classics For All said it was reviewing Johnson’s role as patron after he made comments in an article for The Daily Telegraph newspaper comparing Muslim women wearing the burka and niqab to "letter boxes" and "bank robbers". 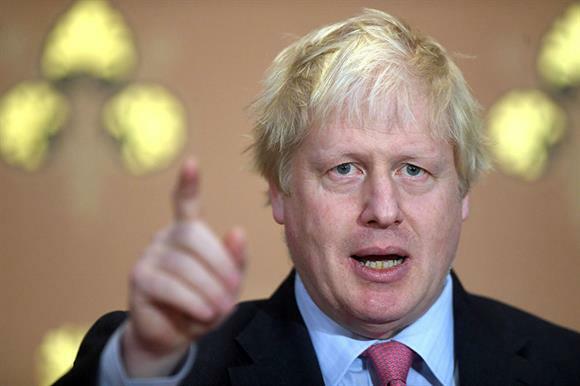 Johnson, who is a former Foreign Secretary, was widely criticised for making the comments and is facing an investigation by the Conservative Party. The anti-Islamophobia organisation Tell MAMA, which records Islamophobic activity, has reported a spike in Islamophobic incidents targeting women wearing Islamic veils since Johnson’s comments were published. Jules Mann, executive director of Classics For All, told Third Sector that the charity did not "endorse or support" Johnson’s comments. "The team at Classics For All is committed to increasing access to classics and works with many Muslim pupils," Mann said. "We do not endorse or support Boris Johnson’s statements or comments." Johnson is one of 21 patrons for Classics For All, and is not the head ambassador or a primary patron, she said. According to its accounts for the year to 31 December 2017, the charity had an income of £451,276 and spent £504,392.